That's how this set started. with a functioning screen door. to Heidi, who urged me to try it. Nearly 4 years later, I have. 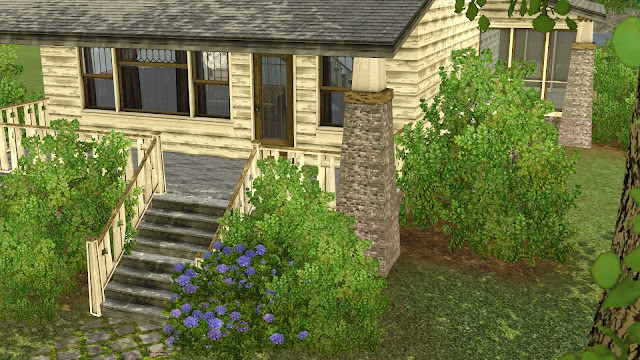 of the Grant Park Build Set. A little over 2x1 - needs to be placed two tiles in from a wall. 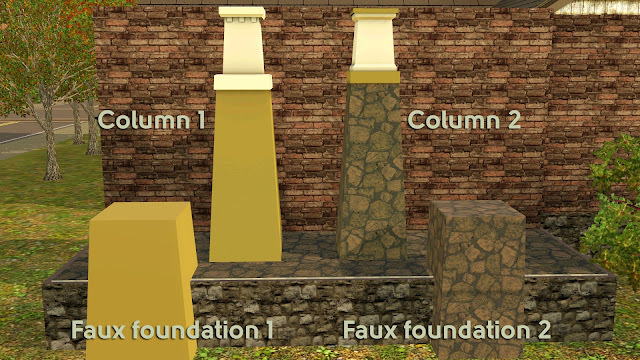 Column 1 and redesigned EA Mission Column (2) with faux foundations. 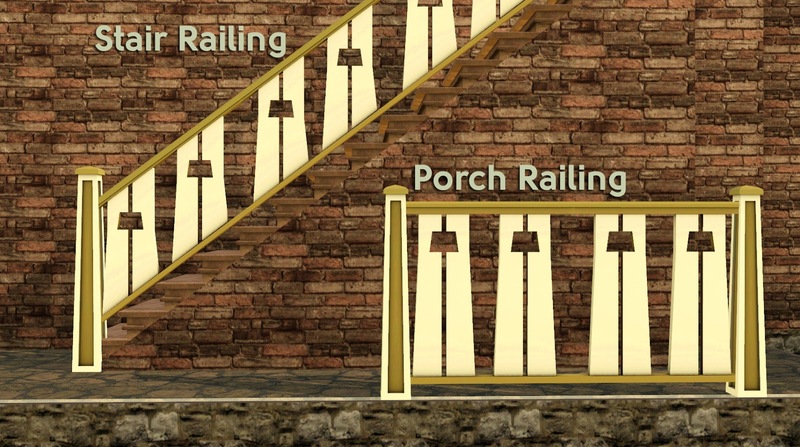 work if you plan on using it with a foundation that is not on a level terrain. 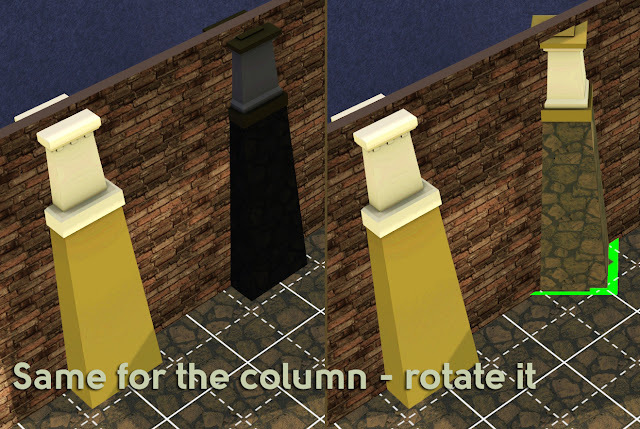 Column can be placed through wall, but sometimes it will turn 'black' too - rotate to fix. Make over Meadow Carpenter Rhodes house in Riverview. She's batshit crazy, playing her guitar in the yard. 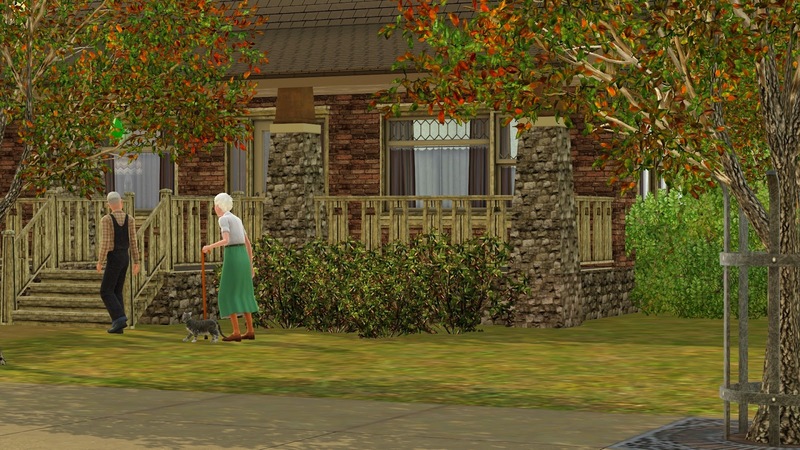 Her house is falling into shambles! And we love her for it. So chic! Brighten up Midnight Hollow . . . if Emo was a location . . . sooooo gloomy gus! Make the Curley family in Appaloosa Plains a little more stylish. My favorite house in Moonlight Falls . . .
Got a major makeover . . . or under depending on your stance . . .
With not one . . . . But TWO screen porches. Fancy! Nothing says 'keep out roaches' like two screen porches! 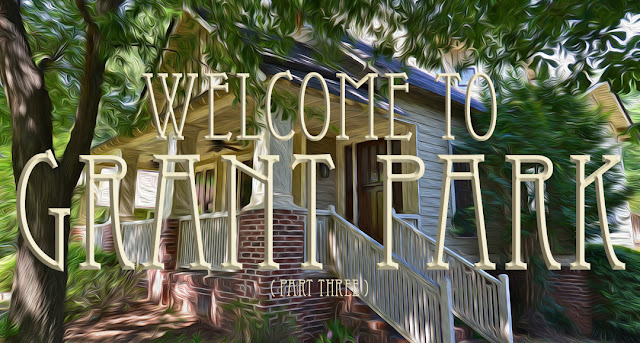 just wait for part 4 . . . coming in 3045. Huge thanks to Jenba, Heidi, and especially Pocci. Testing, inspiring, feedback, and being their through every meltdown. These sets would simply not be the same without input from the people I trust and admire. encourage even the lesser wins with their enthusiasm. CC used in these photos - if it's not mentioned it's probably a store or game item, or found in my own humble catalogue. Oh God, I seriously love you for this. I can now finish a lot I've had in the works for ages with the screens. Not quite the right style for the whole set but I WILL make use of them. Thank you so much! Holy Moly! Hello, Atlanta! A gorgeous, well thought out, and perfect set. Thank you so much! Thank you very much for this. Also, thank you so much for including the WCIF CC links at the bottom, I know how much work that is. Perfect! It's really a great work! Thank You! For the third time in a row, you have fulfilled my dreams. Not only are these objects exactly what I'm looking for, but they are of the highest quality as well. Thank you! I love this set so much! Wow!! More amazing, fantastic set, excellent, terrific work. Thank you, you are brilliant. Could you point me in the direction of the mirror in the third picture of Meadow Carpenter Rhodes house? I’ve scoured this site, the store and in-game but can’t find it. clairemcw - Oh! 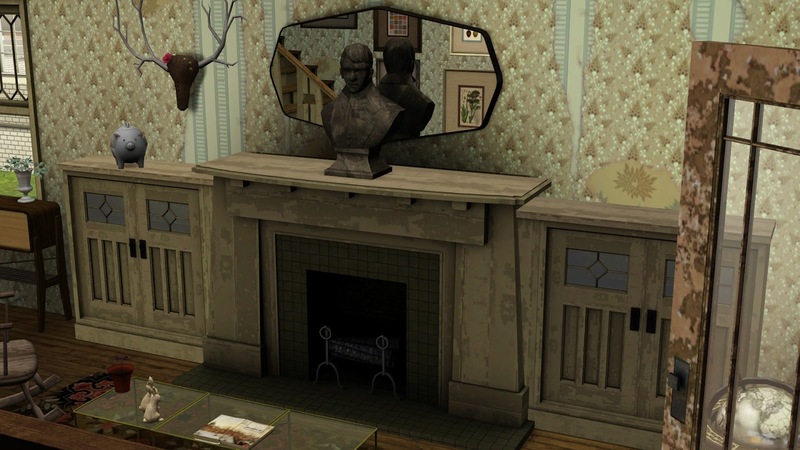 So sorry about that - that is Awesims mirror. I am correcting the CC list - thanks for pointing that out! 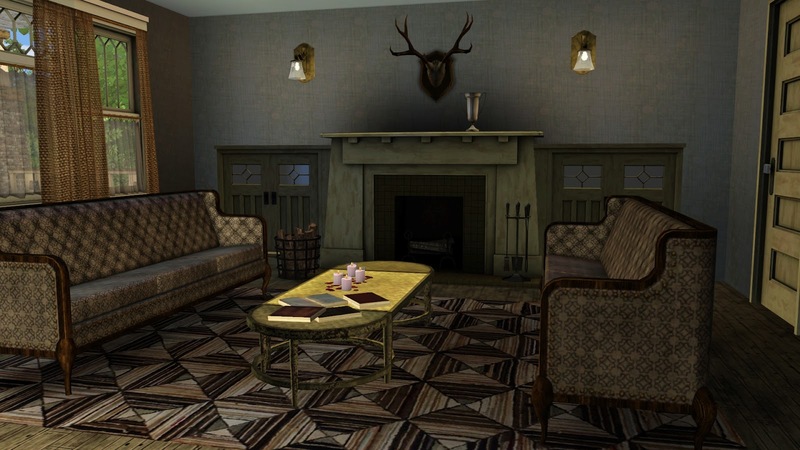 And thanks everyone for your kind words - it's so nice to hear that people like this set! This is an absolutely brilliant addition to the series. 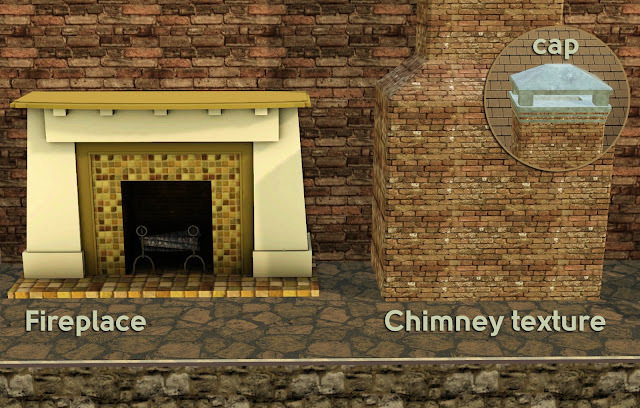 My homes are all shaping up so nicely now! 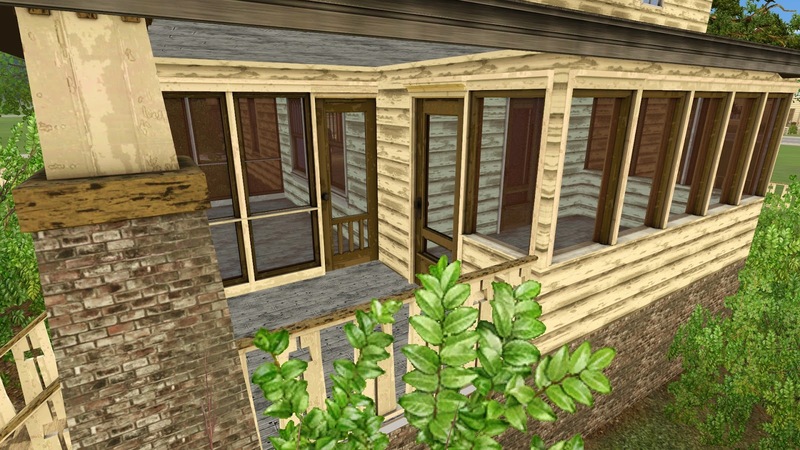 Never thought that I missed a screened porch, until I realised it now :D Thanks so much! Love these! So appreciate you and the time and effort you've put into this project. Also, you might want to duck, since if i carry out all my plans with your creations, my game WILL explode, lol. TY! 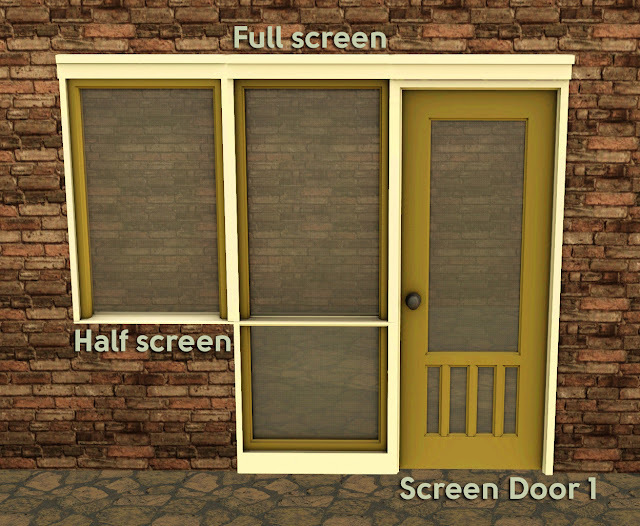 So I like the concept and idea and was wondering about just plain straight doors as 2x1 etc and 1x1 also i know this might not be the one but any ideas on eventually doing an actual furnace, water heater, water softner and propane tank? would make it more ocmplete imho. Hi Kenneth - all of the doors in this set will be made to be a 2x1 in part 4 - holidays are the worst time of year for me at work - hence the break - so I am only now looking at what needs to be covered in Part 4. My original thinking was that they (2x1's) were not necessary, but since I really only revamp existing builds (my own builds are very sad) I have found that the 2x1 placement for doors AND windows is absolutely necessary. 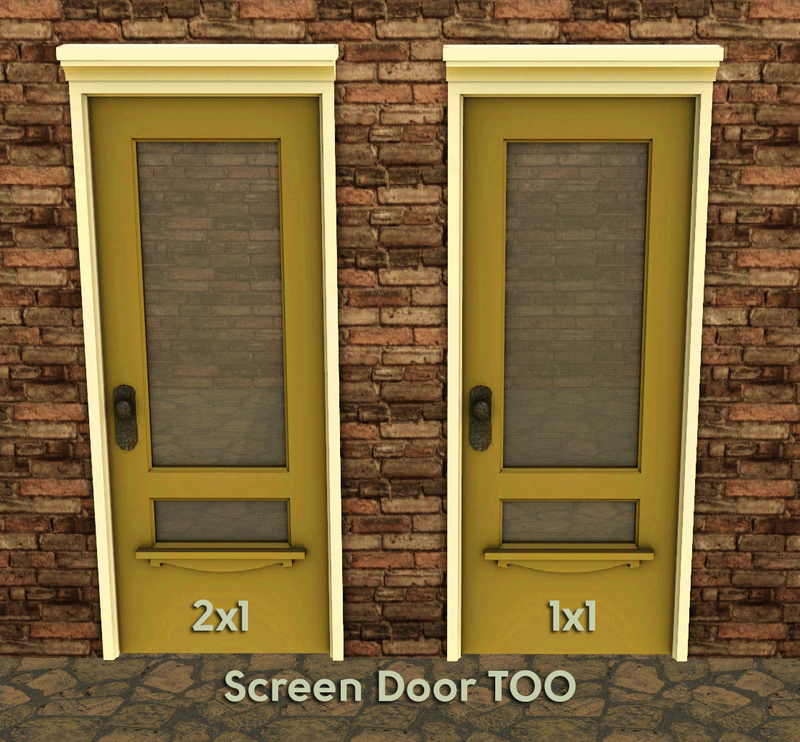 The original design of these 1x1 doors and windows was so they could intersect easily. Older home you don't necessarily see a window or door at the corner, but then the problem of hallways came up and wall bleed was a massive problem. The arches are especially bad for wall bleed. This will be attended to in Part 4, the windows are not going to be corrected necessarily, but new options will be offered. 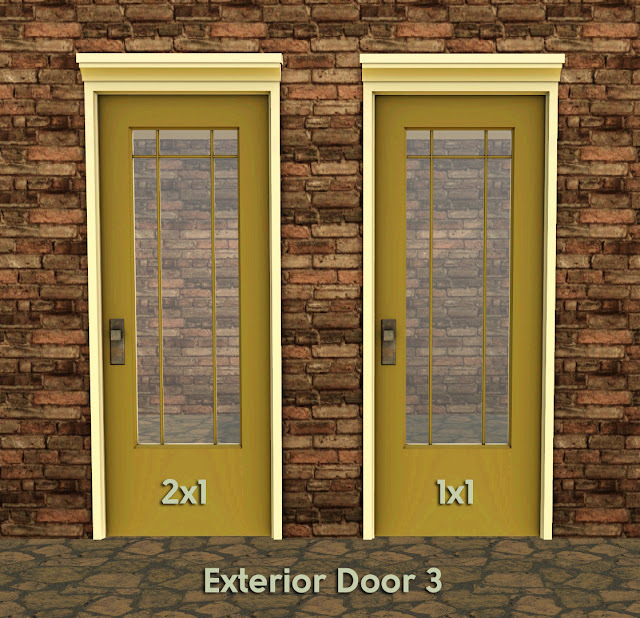 Still not entirely sure how to correct the wall bleed for doors that would be logical and not repetitive. I hope that answers the question? I haven't planned on adding additional door styles . . . Yes you did answer the question, I am trying to learn how to do the modding myself so I can make some objects etc based off my own house other than TSR/3DS Max/Photoshop what else will I need and just wondering if you know of a good write up on features of TSR because I was slightly confused when trying to make an object. I don't know of a good tutorial. It took me quite a long time to find the strength to even attempt build objects. They are confusing in that there is an inside and an outside. You can see parts of the inside from outside and vice versa. Doors and windows have so many considerations that I wish I knew more before attempting such an ambitious project, but I am happy. If I did this set today knowing what I have learned, I would have approached this entirely different. I say that, however, after every set. 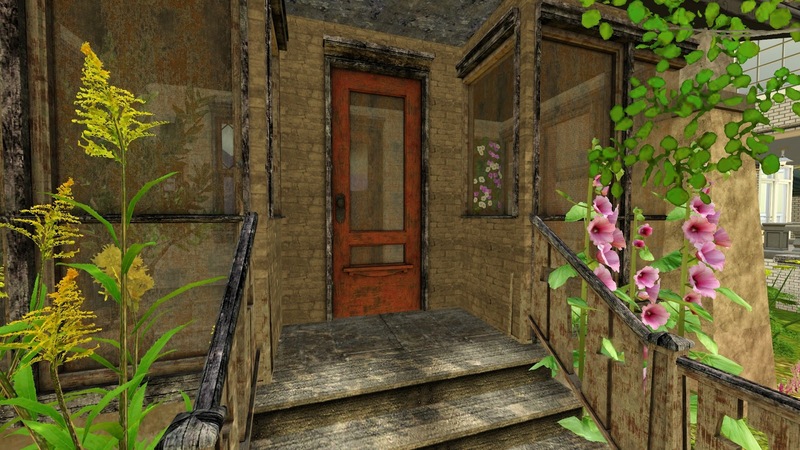 If I can suggest fiddling with the EA meshes first and learn why things are set up the way that they are and possibly to take a door you like and apply it to the 2x1 base in workshop. Not every door is set up the same way. Doors with windows might have additional groups that seem to not make any sense - you can't just take a door and apply it to a different door base due to the way the groups are set up. I even found some doors with completely different bone assignments. Not all the groups are needed and you can add groups for doors that require it. 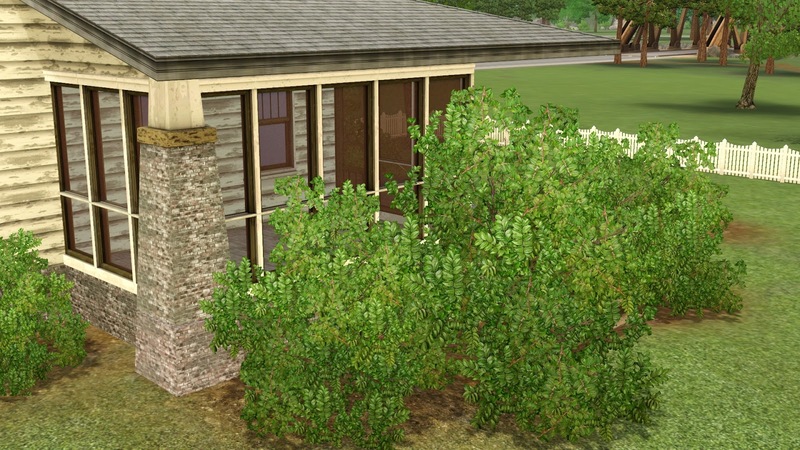 I will say that having meshed other objects was a huge assistance in making the objects in these build sets. 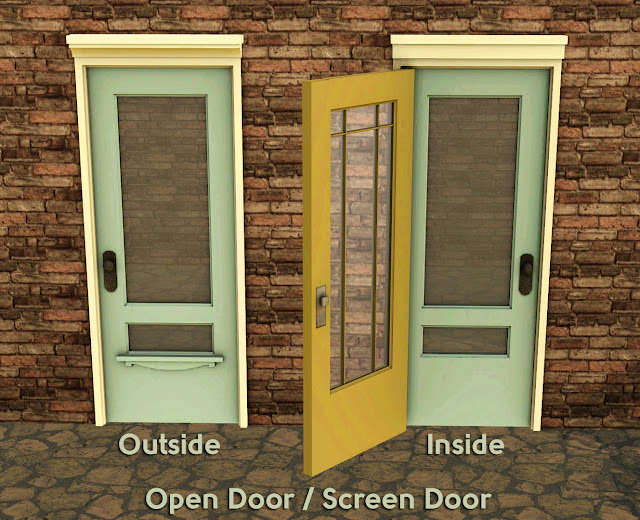 I can see why EA makes some very low poly decisions, but I am also still confused by the function of some of the groups on particular doors - in some cases it seems excessive. I often only pay attention to something once I am sitting down to make it. 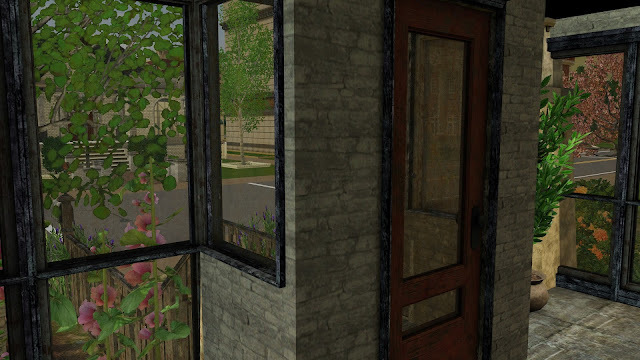 Never did I notice that the window with the flower box - the flower box disappears when you are 'inside' - something so simple can be overlooked. Same with wall bleed. I seriously learned more making a half wall (that was ultimately scrapped) than I did with anything else. 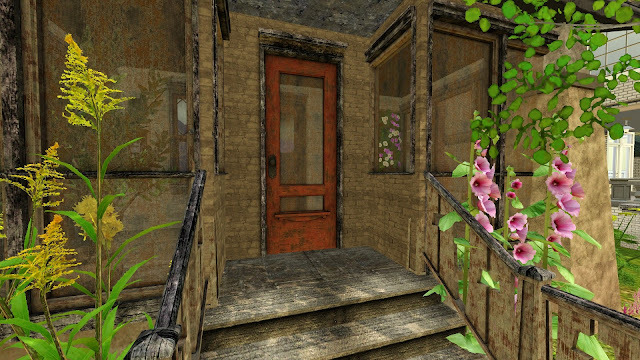 The screen windows are the result of that (very hard) experiment and one of my prouder moments in custom creation. yeah the half wall idea is actually an interesting idea (half walk as in half a tile not half a wall) but i don't know if i can find one or how to attempt even that, i know how to make some good models though i defiantly need to improve haha. but that comes with everyone and everything you always find ways to improve on older work. I'm awed at your talent, the screen door was perfect and then I scrolled down...speechless. I have a soft spot in my heart for screened in porches, they are very nostalgic for me. 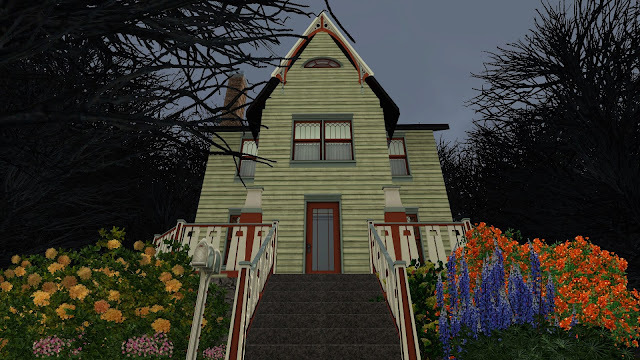 Would you ever consider converting this for The Sims 4? I'd love to be able to use it! 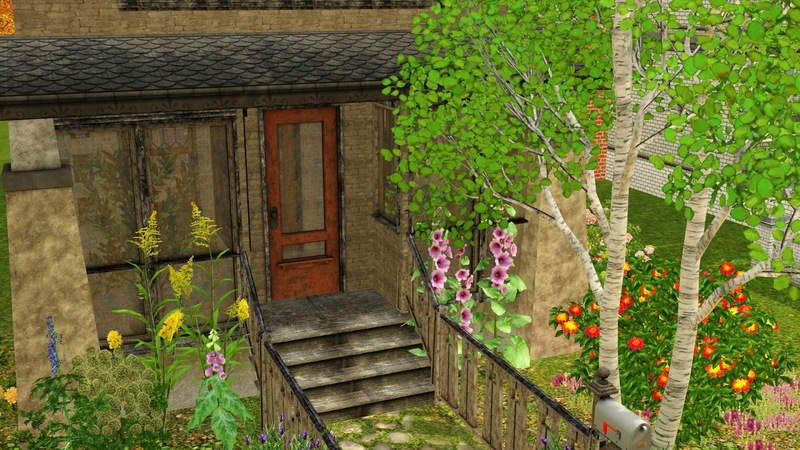 Hi Megan - I have been asked many times about the Craftsman Chic series for S4 - it's unlikely. The set was a huge drain to create for S3 - add converting it while also finding multiple textures for varying styles in S4 and I think I would quit creating forever. That said - I miss screens in S4, so I might (**MIGHT**) attempt a small build set of screens in the future that are more maxis-match(ish) to limit the amount of items required to be made to retain my sanity.